Payment Instructions: We accept major credit cards and wire transfers only. A 10% online buyer's premium will be added to all sales conducted via Proxibid. There will be no sales tax charged for online sales unless you live within the boundaries of South Carolina. NO SALES TAX ON US COINS AND CURRENCY. You will be notified at the end of Auction via email with your settlement sheet noting all purchases and amount due. This invoice will serve as the billing amount that is charged to your credit card on file. Any bidders with credit cards that are declined on reconciliation day will be charged a $30 processing fee to run another credit card- NO EXCEPTIONS! Shipping Instructions: Any personal property item purchased online will be shipped via USPS. Minimum shipping charge for is $2.50 and the prices will be adjusted with the number of items that you purchase. The prices do not double or triple, but reflect the weight shipped and the distance that they are shipped. For more information you may log onto www.usps.com for shipping rates and zone information. We insure packages up to the purchase price. You will receive two invoices- the first is your purchases only and the second is the actual shipping charges. Your credit card will be charged twice- once for purchases and once for shipping. All items sell AS-IS with no warranties or guarantees expressed or implied. We reserve the right to add or delete items prior to sale time. Please send any specific questions to our email address or call us for more information. All coin grading will be done on a basis of fair, average, good, fine, etc. All grading questions should be addressed prior to sale time. We will be happy to email other pictures to you if needed. All sales final. Any bidders with credit cards that are declined on reconciliation day will be charged a $30 processing fee to run another credit card- NO EXCEPTIONS! Online Bidding Terms: 1. Meares Property Advisors has put forth every effort in preparing the catalog for this auction to provide accurate descriptions of all items. All property is sold 'as-is' and it is the bidder’s responsibility to determine the exact condition of each item. Printed statements or descriptions by staff are provided in good faith and are matters of opinion. Absolutely NO refunds will be offered. 2. FOR ONLINE BIDDING: There is a 10% Buyer's Premium added to your total purchase. 3. All accounts must be settled at the conclusion of the auction. We accept major credit cards ONLY. NO CHECKS FROM ONLINE BIDDERS! 4. The auction company through USPS will arrange packing and shipping. Packing and shipping costs are the responsibility of the buyer and may be quoted before shipping. Fragile or large items will be shipped by a professional shipping company and may result in higher shipping costs. All items will be insured for the purchase price. Our first priority is to deliver your new purchase in excellent condition. 5. Our online auctions move quickly! If you are interested in an item, bid quickly. If you win an item in the auction you will be notified by email the next business day. All items will be charged to the credit card on file unless other arrangements are made PRIOR to online auction start time as listed on Proxibid. The invoice you receive on the day after the auction will be used for billing- we will bill the credit card on file. 6. In order to better serve our customers, all bidders must provide their name, address, daytime phone number, and email address at which they can be contacted. This is to ensure good communication between Meares Auction Group and the bidder throughout any transactions. 7. The purchaser agrees to pay all reasonable attorney fees and costs incurred by the auction company in the collection of funds. The purchaser also agrees that a fee of 2% per month is added to the balance of any unpaid balance due the auction company and any other costs or losses incurred by the purchaser’s failure to adhere to these terms. Any debt collection or dispute proceedings will be heard in Greenville County, South Carolina. 8. The auctioneer has the sole discretion to advance the bidding and may reject a nominal advance, should it in his estimation prove injurious to the auction. The auctioneer shall be the final judge in all bidding disputes and shall name a bidder as the purchaser. 9. The auction company shall not be held responsible for any 'missed' bids or bids unseen by the auctioneer. 10. All sales are final. 11. By bidding on any item, the bidder shows acceptance of the terms of the auction. 12. 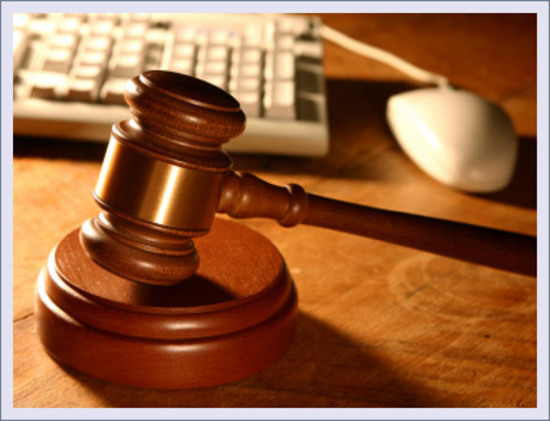 The auction company reserves the right to refuse service or decline registration to any person. All announcements made the day of auction take precedence over any and all written, verbal or electronic statements. You've been outbid to t****5! to YOU! You've been outbid to f****o! to YOU! You've been outbid to V****t! to YOU! You've been outbid to b****d! to YOU! You've been outbid to f****2! to YOU!